Yes, you can now send Punchbowl Digital Cards through text message! On the Add Recipients page, simply enter in the name and phone number for the person you would like to send the digital card to. 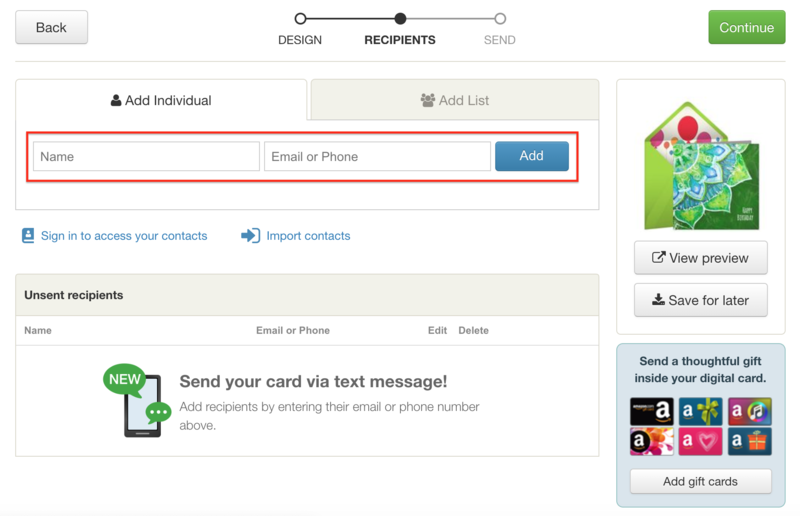 Make sure to click on the blue Add button in order to add them to your recipient list. When you are ready to proceed, click on the Continue button and then the green Send now button on the next page to finish sending your digital card. For information on how to send an Invitation via text, click here.